The disputes between Brazil and Canada over government support for the sale of regional aircraft marked Brazil’s initiation as a major player in WTO dispute settlement. 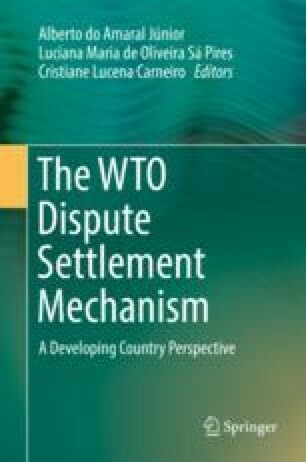 After providing some historical background and a summary of the findings by the panels and the Appellate Body, this chapter focuses on three issues of significant systemic importance that were addressed for the first time in those disputes, all of them under the WTO Subsidies Agreement: the question of the “benefit,” de facto export contingency, and the “safe haven” provided by the OECD Arrangement on export credits. The issues are approached from the perspective of Brazil, particularly in light of how differences between developed and developing countries affect the ability of their companies to compete in a market like civil aircraft. The chapter concludes by indicating how the original disputes were resolved in practice and by noting a new dispute that, 20 years after the first case was brought by Canada, may bring both countries into a new cycle of litigation over trade in aircraft.